QM 2/c Marvin Jone, Jr., son of Mr. and Mrs. J. M. Jones, Orth, attended Olney High. 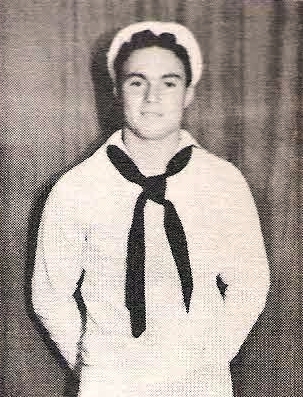 Entered Navy in 1942, trained in San Diego. Served on USS MISSISSIPPI. Discharged in 1946.